Funding global endeavours like future particle detectors is rather complicated, with hundreds of institutes from around the world involved in the construction and operation. 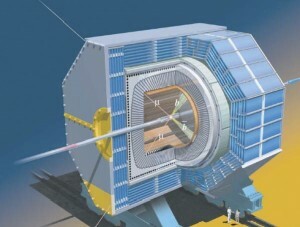 For a large particle physics project like the International Linear Collider (ILC), the accelerator and the detectors are generally funded quite differently. The accelerator typically costs an order of magnitude more than the detectors and its funding comes from governments through a handful of major laboratories or is directly pooled at the new central laboratory. On the other hand, the detectors are constructed by many groups of physicists belonging to tens or hundreds of institutions, and each group would obtain necessary funding in their own countries to construct parts of detector assigned to them. This is the funding model for, for example, the Large Hadron Collider at CERN. With the Japanese government investigating the case for the ILC by an expert committee, we are not yet in the constructing phase but in a preparation phase which is likely to continue at least for a year or two. The difference of the funding pattern between accelerator and detectors in this period, however, is similar to that in the construction phase described above – apart from the fact that we do not have the new central laboratory yet. For detector efforts, it means that each group needs to secure funds from its own funding agencies. The funding situation, however, is quite different for North Americas, Europe, and Asia. For the United States, a recent agreement between the Japanese funding agency MEXT (Ministry of Education, Culture, Sports, Science and Technology) and the US funding agency, the Department of Energy (DOE) as reported in the director’s corner by Harry Weerts on 8 September has a significant impact. This is the first agreement between the two funding agencies explicitly on the ILC, and it is indeed a big step forward. In concrete terms, they agreed to collaborate and focus on cost reduction of superconducting RF technology. It would have been nicer, of course, if they agreed on more forthcoming topics such as the governance of the new ILC laboratory or concrete cost sharing. The Japanese government, however, is officially evaluating the case for the ILC by the expert committee, and it cannot behave like there is a green sign for the ILC at this time. A more dire consequence of this is that, since there is no new and immediate funding, most of current funds for the ILC had to be moved to this one basket. The ILC detector research and development in the United States has been largely supported in recent years by generic studies that are not limited to the ILC, and as such not affected significantly by the recent change in funding policy described above. On the other hand, detector developments specific to the ILC continue to be difficult to pursue, and travel funds to attend linear collider workshops are now more strained than before. There has long been a programme of US-Japan collaboration in high-energy physics and it has recently been renewed (see LC Newsline April 2016). In the renewed programme, funding is likely to be more symmetric between the US and Japan than before while in the past the funding came mostly from Japan. The situation in Europe regarding the ILC detector funding is reasonable at this time thanks to variety of funding provided by the European Commission. One example is the AIDA project that supports R&D efforts for detectors at accelerators where the main users are LHC upgrades and linear colliders. Another is the E-JADE project that supports European researchers to work in Japan for accelerator studies including linear colliders. Recently, it has become possible to use this programme for physics and detector activities as well. The ILC detector activities in Japan have been supported mostly by competitive funds from the Japan Society for the Promotion of Science (JSPS). For the ten-year period of 2006 to 2015, two large JSPS programmes supported the ILC detector efforts at roughly $1M per year. An application for the following five years, however, was not successful and a new proposal is currently being prepared. This leaves a hole of at least one year that is being partially filled by a few smaller-size JSPS programmes as well as supports by KEK. At universities, there are also small amount of research funds that can be used quite flexibly. Maybe I have convinced you that the global funding situation for the linear collider detector studies is highly complicated. In this phase of preparation, we should take advantage of all kinds of opportunities and pursue the necessary studies such as completing the loose ends of detector element technologies, realistic engineering designs, as well as further optimisation of overall detector designs and even more adventurous technologies. Yes, this is a time of perseverance, but also of excitement.